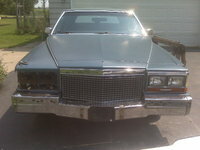 Have you driven a 1986 Cadillac Fleetwood? 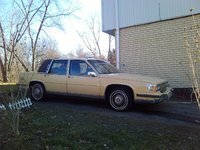 Displaying all 4 1986 Cadillac Fleetwood reviews. Great To Look At But Not So Great Drive. — I wouldn't buy another one! The one pro does not out way the cons. 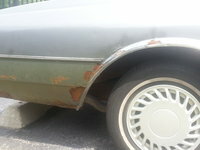 This car has so many repairs that when the engine finally blew, I didn't bother replacing it. I sold it for parts. It floated nicely on the highway but too many mechanical issues. The car is like a luxury cruise ship. Big, Powerful, Luxury. I miss it. 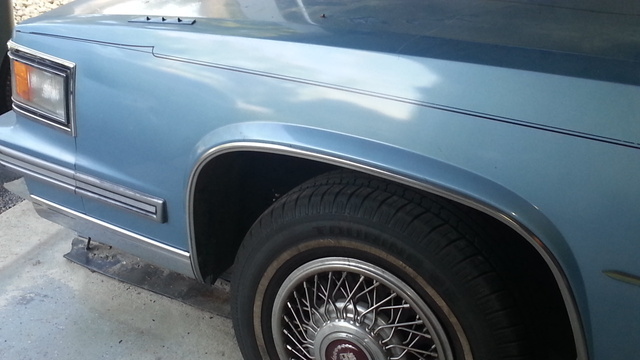 I love Old Cadillacs. This car had great handling, Love the 307 V8 engine. Even though it only produced 140 horsepower, the power shows when you give the car gas. Overall this is a great classic car, it is a shame they don't make them like that anymore. The leather interior is great, as well as the embroidered cadillac symbols in the car. The steering wheel is wood grain as well as the dash. My only problems are I dont like the gas tank behind the license plate, the bracket wears out and is almost impossible to find. The gas mileage could be better as it only gets about 8-14 mpg. But it has a V8, you don't need the mileage you got the power. Braking is powered by front disc and rear drum, providing a good breaking performance. The handling was great, it handled like a dream. The engine is a 5.0 L 307 V8 powered by a rochester 4 barrel carburetor. The biggest repair I ever needed was a water pump, and after 23 years that is understandable, just be sure you take care of the cooling system. Pros: It's simply a classic, and that is all I Drive. Cons: I really don't have a reason to avoid this car. Big Boat, Big Style, Big Pain! — It was a big car, and was terrible on gas. 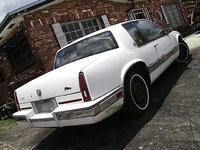 But when I drove around in it I felt like a million bucks!